"NOW Flowing 33", and a spirit penguin just for seasoning. 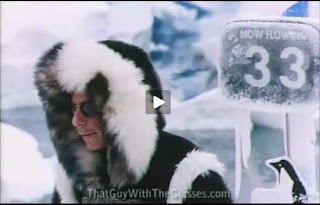 This is a still from the movie North, which I am not watching but I saw this on a review (strong language warning) for the movie. 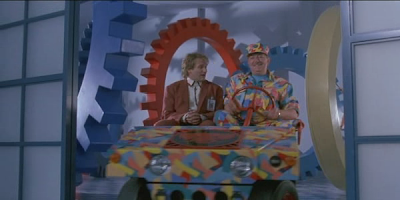 Robin Williams drives past a giant gear in the ZEVO toy factory forming a big Red C around his profile in 1992's "Toys". 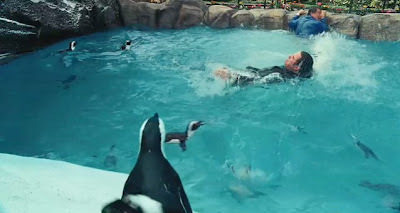 See One By One The Penguins Steal My Sanity for many more Penguin syncs. 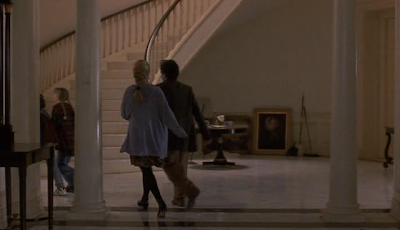 In 1995's "Jumanji" the Robin walks between two pillars and past a spiral staircase escorted by the FloWer Star Kirsten Dunst. "He's a hunter he kills things, that's what he does and right now he wants to hunt and kill me"
"Maybe he needs something for his wall, you know a parrot, something to go between Penguin and partridge." Both the Spiral Staircase and Braided Hair of Dunst bring Coiling Vine and DNA resonating context into this Penguin cluster. Spirals in the micro like sea shells and Galaxies in the macro evoke the footprints of Cosmic Consciousness ViA there meditative and mathematical implications. See Aronofsky's "Pi" and consult your Third Eye for further instructions. 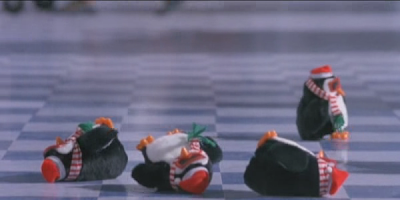 The Robin Penguin Pattern moves from subtle to overt in one bold leap as we see Williams become a Penguin in 2006's "Happy Feet". I think he was this Shaman type Penguin seen above. The Red Eyed Shaman Penguin for chriszakes! This is a picture I took and discussed at the first ever Synchromystic talk, held recently during Shaman Juan Flores' Marathon of Ayahuasca ceremonies in and around Winnipeg Manitoba. 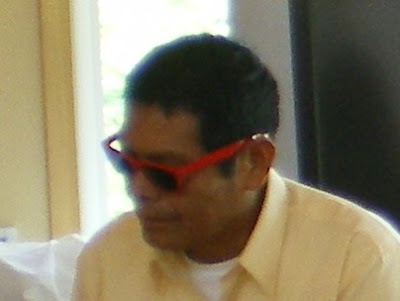 I noted the Painted Penguins Red Eyes and how swimmingly it connects to Danny DeVito (The Penguin in "Batman Returns") in "Big Fish" and Master Juan Flores' Red Rimmed glasses he sported during the trip. Also discussed along with much more DeVito in Pots & Pans. 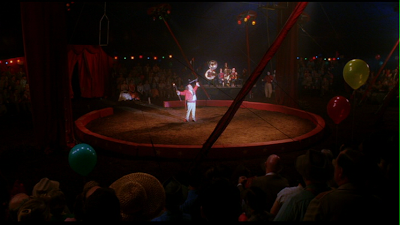 Robin Williams, an animated Penguin Shaman, inside a Giant Red C.
Pretty spectacular and redundant Proof Positive of a non-local force organizing the ebb and flow of all that is, no? As is usual with the inelegant Illumination tool called synchromysticism we have yet infinitely more ridiculous 'syncing in' to work with. 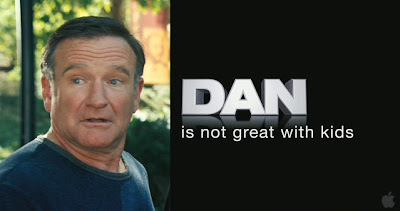 Robin as DAN/DNA in the upcoming "Old Dogs" alongside John Trabolta. Trailer sees our DOGS/GODS swimming with penguins at the ZOO (OZ/77/PAN). Notice that Robin's flipper is strange attracted to the OZ of FROZEN. An interesting word containing the letters of the perennial favorite ONE (being ZOE, NOW, NWO etc) and ZEN that old school Buddhist pointer towards Cosmic Consciousness. The O has become a Red C as a result of being eclipsed by Robin's flipper. ok. now you got me. 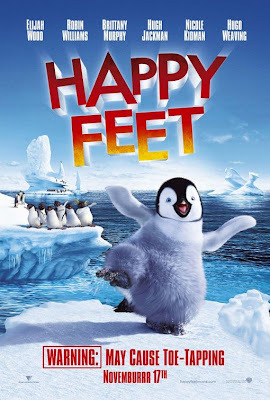 the movie "happy feet" says so much. 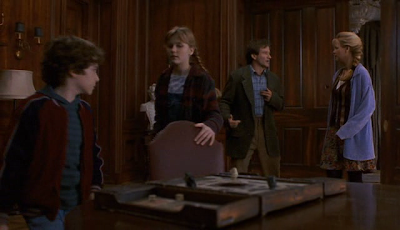 I watched Doogal last night. sync bomb of the highest order. All dogs and Blue men.